To donate, click on your preferred campaign below. The Downtown Sailing Center (DSC) is the only access point to the water for most in the community. 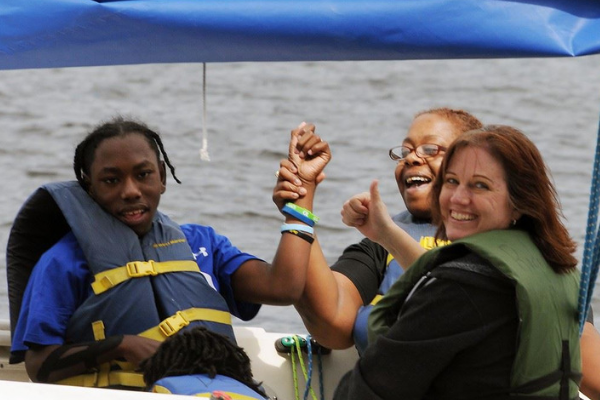 We strive to make the joy of sailing accessible to everyone, regardless of age, income, ability or disability. Program revenues, grants and the sweat equity of our numerous member volunteers help us carry out that mission in large part, but not completely. Your donations fill in the gaps and keep the DSC going strong. We need your support to continue to provide these sailing opportunities to all. Thank you for contributing to the Downtown Sailing Center and and bringing smiles to a sailor today! To donate click on the campaign above that you would like to support.